The Bag Nation diaper bag backpack is one of our all-time favourite backpacks! It is an amazing baby diaper bag that has loads of features & pockets to make your day out a little more convenient. A diaper bag has to last for quite a few years, so a quality durable bag is essential. 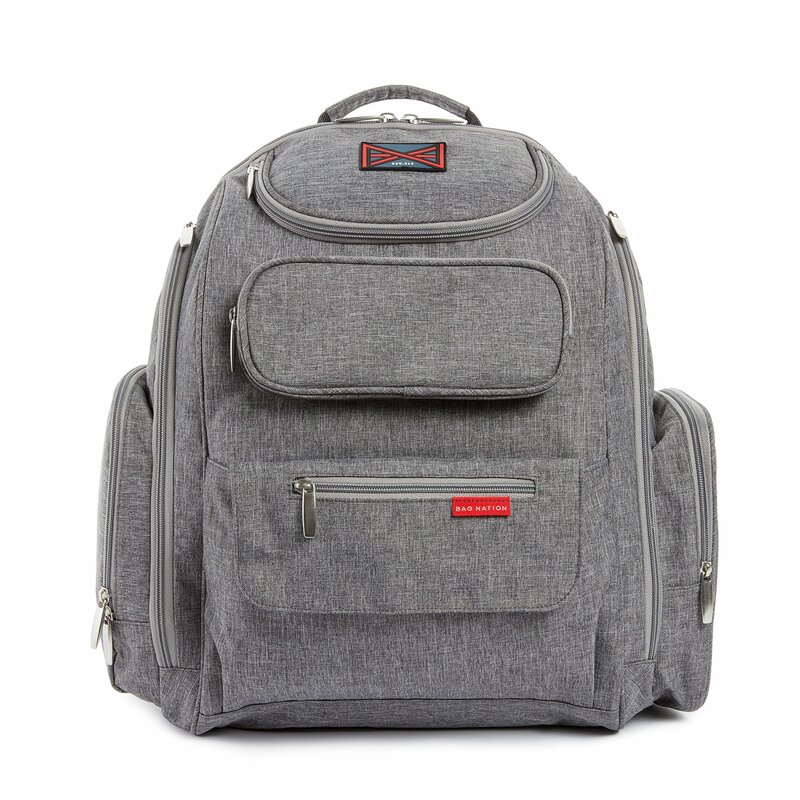 The Bag Nation backpack diaper bag is made with a high-quality water-resistant twill polyester (stronger than cloth) material. It has the added benefit of having non-fraying stitching, and strong zippers to ensure that the bag lasts through the baby and toddler years. Another fabulous aspect of these bags is that they are designed to be unisex, so it is suitable for both mom and dad. 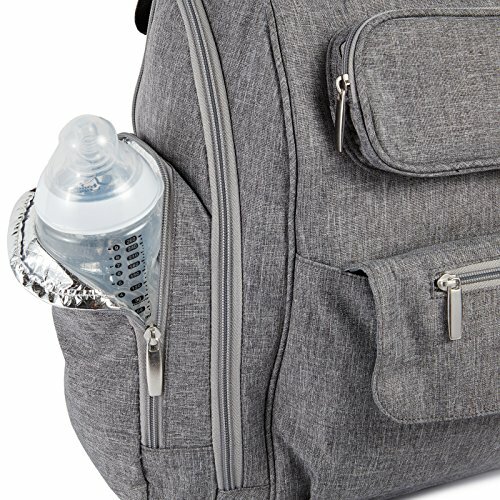 Because the bag looks more like any typical backpack, dads will be able to use it without the embarrassment of it looking too much like a diaper bag. 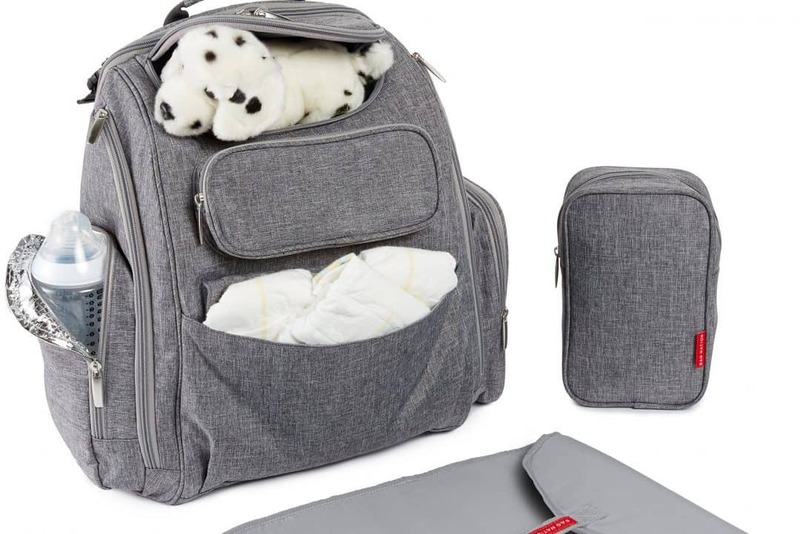 This nifty diaper bag features 14 pockets of various sizes. We love pockets because it helps us to stay organized so that we can grab our baby's items when we need them. They have outer pockets which are great for quick access items and inner pockets to store items you don’t need as often. We never buy a bag that doesn’t offer an insulated pocket and this bag has a lovely and large insulated pocket that can hold multiple baby bottles. And it has a dedicated pocket for your baby wipes. What else is fabulous about this bag? It comes with stroller straps so that you can easily attach it to your stroller when your back needs a break. It also comes with a changing mat to make your diaper changes on-the-go easier. We do wish that this mat was larger in size and a bit plusher, but you could easily buy an extra mat for the bag if it bothers you enough. The sundry bag is a lovely addition as well. You can store personal baby items in there such as diaper rash cream, medications etc. Such an important criteria. When carrying a bag on your back, you need to know that it will have features that make it not only comfortable but also breathable (so your back doesn’t sweat from the heat). The Bag Nation diaper bag has both padded straps as well as a padded back area, making the bag super comfy to carry around. We found that the material was breathable as well and didn’t make our backs sweat too much our day trips out and about. The bag is a lovely and large size. It measures 14.6 x 4.5 x 11.1 inches and weighs a light 2.4 pounds. 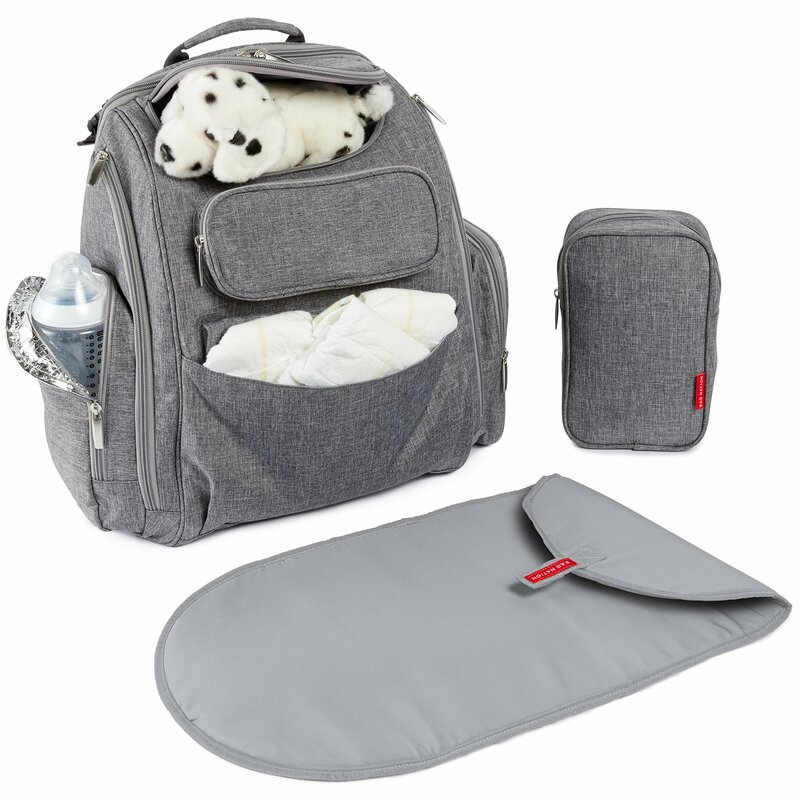 This diaper bag is ideal for travel. It has many zippered pockets to make it easy to organize and store all the items you need for your transit. It also has a very large main compartment which is great as you will need to take along a lot of stuff (diapers, portable changing pad, baby food and formula, extra set of baby clothes, wipes, baby jacket, baby toys, small blanket, bibs, burp cloth, extra water, and anything else you might need)! 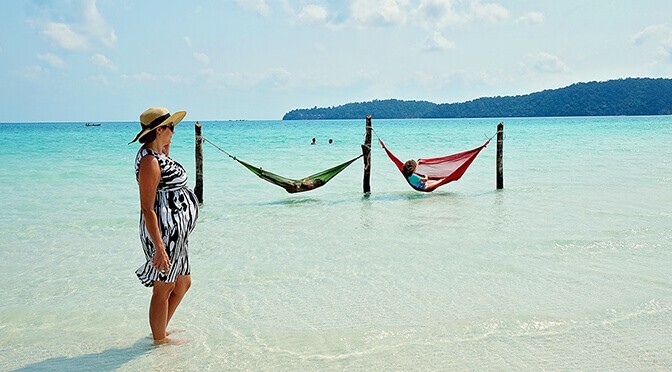 The bag is a great size which makes it the perfect diaper bag to take as a carry-on and whilst it is large in size, it is small enough to pop under the seat in front of you on a flight. If you wish you can compare this diaper bag with a list of other travel diaper bags here. 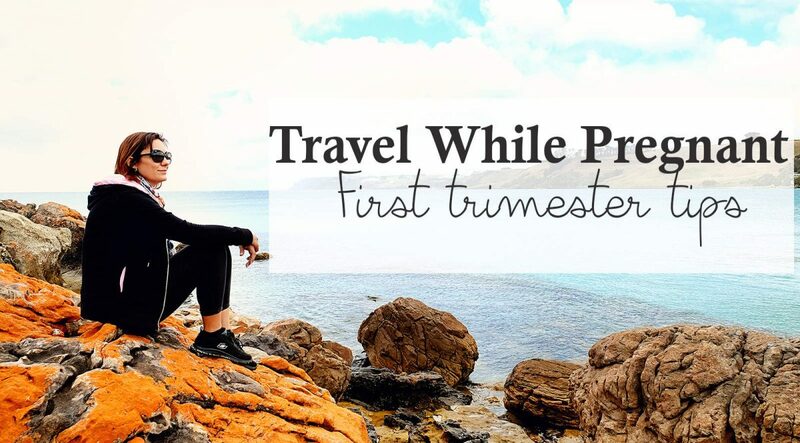 You can also find a list of our other favorite baby travel gear items here. 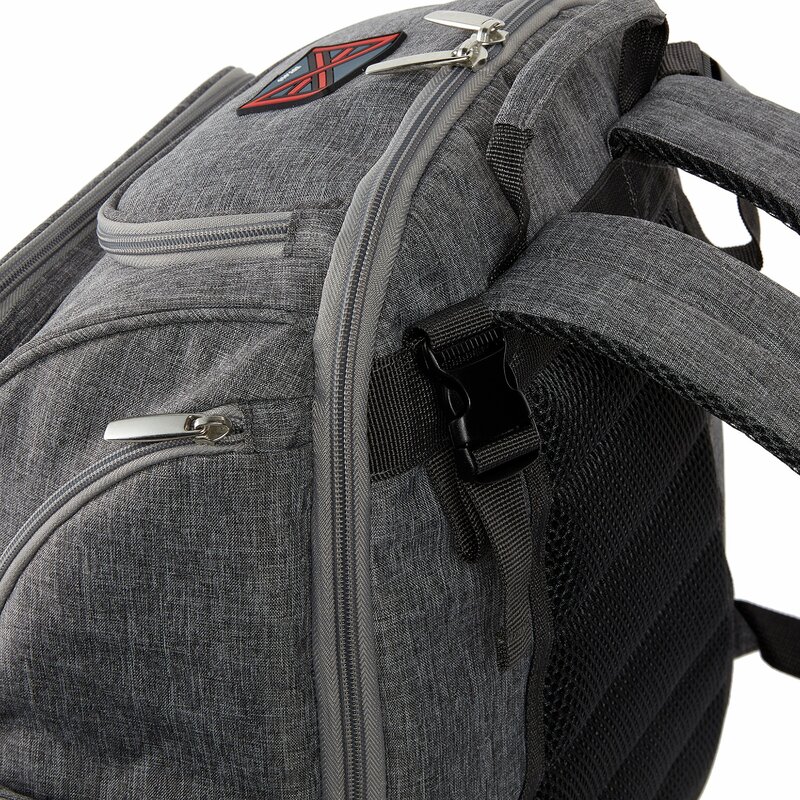 The Bag Nation Diaper Bag Backpack is very durable and is backed by a lifetime warranty. So you always have the reassurance that if something does go wrong, you can simply get it replaced. Now whilst we are raving about the bag, the bag is by no means perfect (but then I don’t think you will ever find a perfect diaper bag). We really wish that the bag included a better changing pad. We constantly have this issue of the changing mat that comes with diaper bags, they are always too small (I guess they make them that way so they don’t occupy too much space). But we would love a large changing pad so that even older babies will have a clean surface under their entire bodies. The front pocket is a magnet and we have magnet closures! They never stay closed properly. Fortunately, it is the only pocket on the outside of the bag that doesn’t have a zip. Great for easy quick access, but don’t store anything valuable in there. It might be worth your while to see what other parents think about this diaper bag on Amazon. 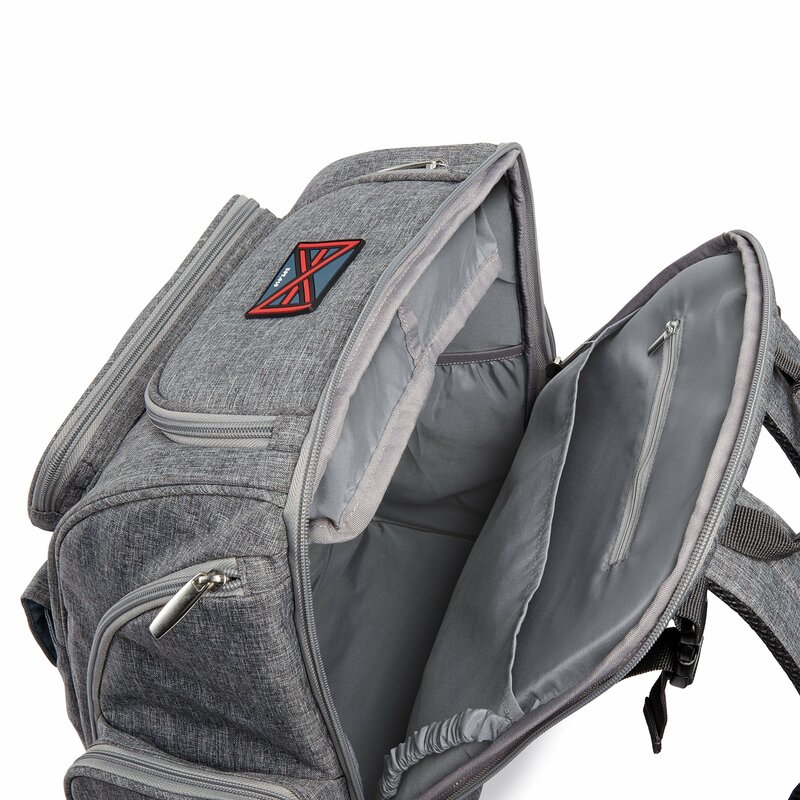 The Bag Nation Diaper Backpack is a brilliant bag to have for use back at home as well as for travel. 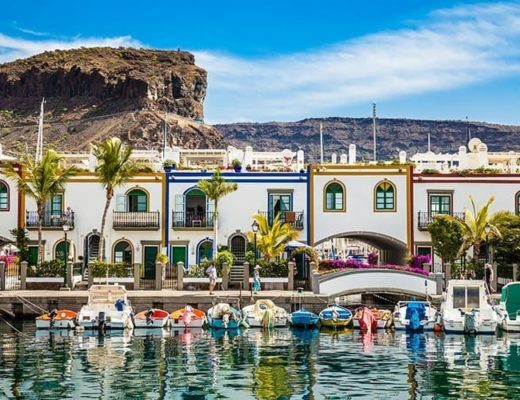 It ticks all of our boxes of requirements. We love the insulated pockets for our baby bottles. 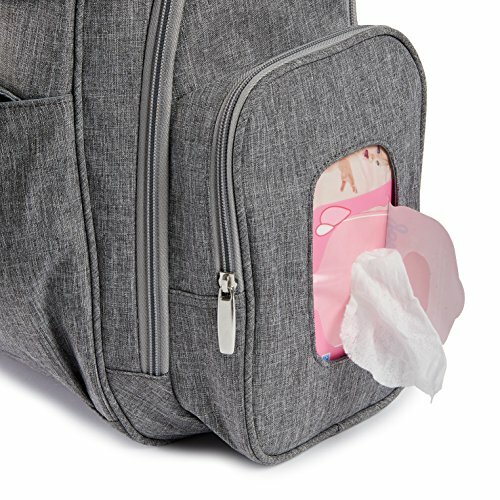 The wipes pocket means that a wipe is always close by and the stroller straps mean that you can hook it up to the stroller. The bag is a great size.Despite the large size, the bag is still lovely and lightweight. We love this bag and I’m sure you will enjoy it too! > Click here to grab a Bag Nation Diaper Bag for yourself! 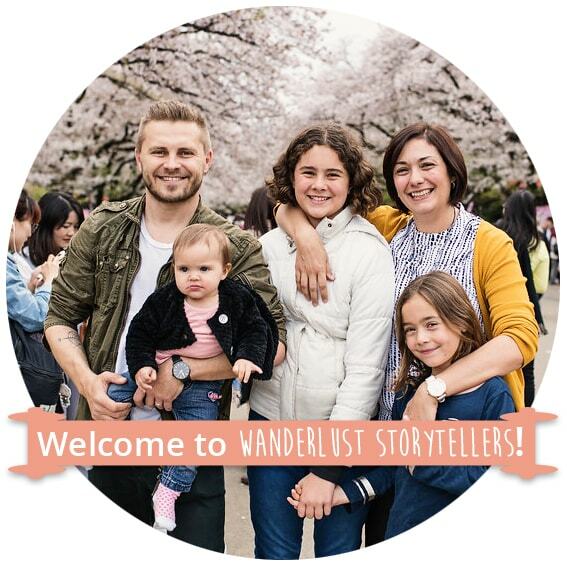 Disclaimer: Wanderlust Storytellers is a participant in the Amazon Services LLC Associates Program, an affiliate advertising program designed to provide a means for sites to earn advertising fees by advertising and linking to amazon.com and its partners. Amazon and the Amazon logo are trademarks of Amazon.com, Inc. or its affiliates.